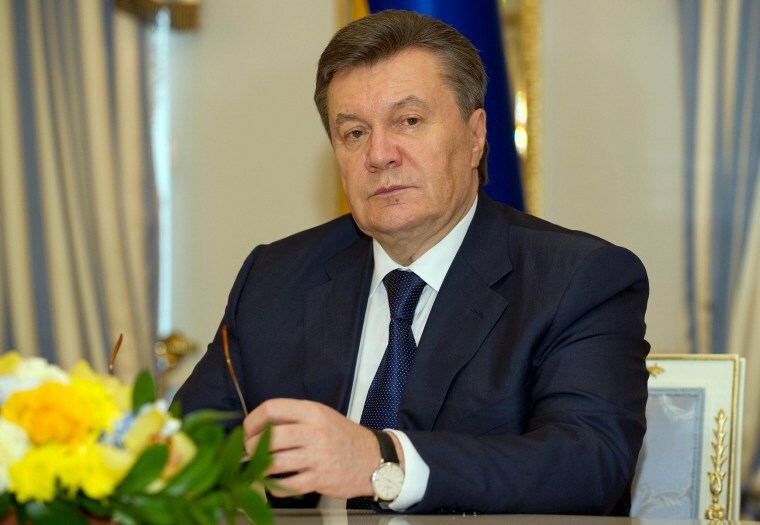 UNITED NATIONS — Ukraine's ousted leader Viktor Yanukovych has sent a letter to Russian President Vladimir Putin requesting that he use Russia's military to restore law and order in Ukraine, Moscow's U.N. envoy told a stormy meeting of the Security Council on Monday. "Under the influence of Western countries, there are open acts of terror and violence," Russian Ambassador Vitaly Churkin read from the letter in an emergency meeting of the U.N. Security Council. "People are being persecuted for language and political reasons," he read. "So in this regard I would call on the president of Russia, Mr. Putin, asking him to use the armed forces of the Russian Federation to establish legitimacy, peace, law and order, stability and defending the people of Ukraine." Churkin held up a copy of the letter for council members to see during a heated council session in which Western envoys and the Russian ambassador hurled allegations at each other for two and a half hours. He said the letter was dated March 1. After the Russian ambassador spoke, U.S. Ambassador Samantha Power dismissed Russian claims that Russian-speaking Ukrainians were under threat in the eastern regions of the former Soviet republic. "There is no evidence that ethnic Russians are in danger," she told the 15-nation council, which is holding its third emergency session on Ukraine in four days, this time at the request of Russia. Power said there was "no legal basis" for Russia to justify its military deployments in Ukraine through an invitation from the regional prime minister of the Crimea, adding only Ukraine's parliament could do that. Churkin rejected Power's denials and said she appeared to have gotten all her information about Ukraine "from U.S. TV". He repeated Moscow's view that Yanukovych is Ukraine's legitimate leader, not interim President Oleksandr Turchynov. Rejecting Russian allegation of acts of terrorism, British Ambassador Mark Lyall Grant said: "It is clear that these claims have simply been fabricated to justify Russian military action."